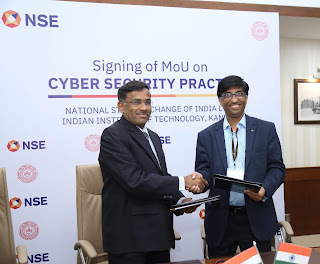 4 January 2019: The National Stock Exchange of India Ltd. (NSE), India’s leading Stock exchange, today signed a Memorandum of Understanding (MoU) with IIT Kanpur, one of the premier technology institute’s in the country, to work together on industry-leading Cyber Security solutions and practices. 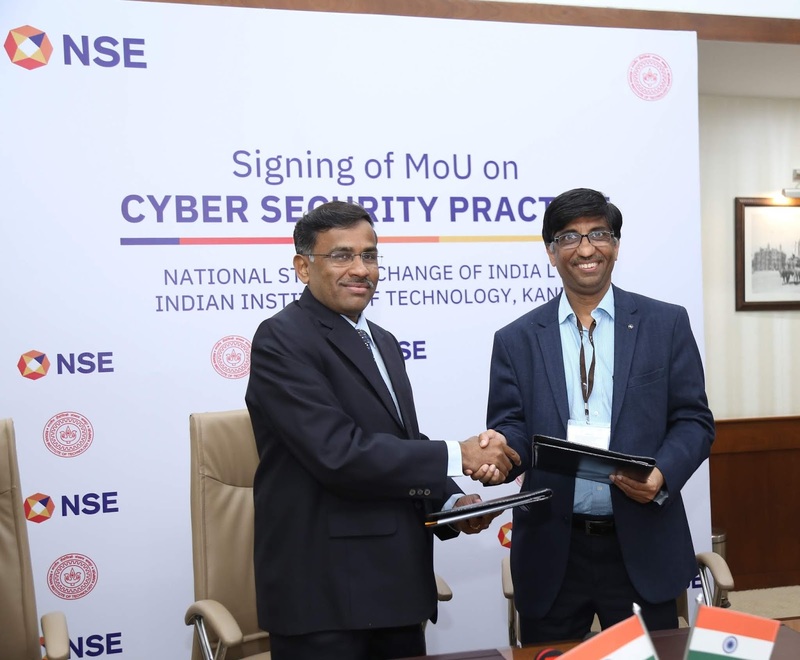 The NSE-IIT Kanpur partnership aims to develop and create an environment to not only negotiate and deal with the current and future cyber security challenges in the Indian financial and capital markets eco-system, but also to develop tools to further strengthen the cyber security framework. NSE, being an institution of national importance, and IIT Kanpur, having set up the Cyber Security and Cyber Defense of Critical Infrastructures Center, together intend to develop cutting edge solutions to improve cyber security practices and solutions for the Indian capital market eco-system and NSE’s cyber security infrastructure. IIT Kanpur has established a C3I Center (Cyber Security and Cyber Defense of Critical Infrastructures) funded by the Science and Engineering Research Board, Department of Science and Technology, Govt. of India. The center is engaged in research on cyber security and cyber defense of critical infrastructure including financial market infrastructures in the country. The Center has multiple faculty and is working on cutting edge research in security assessment, vulnerability detection, cyber threat modelling, security incident management solutions, block chain based deterrent to insider attacks and many other topics of relevance to NSE and the Indian capital markets.